The old metal version of the classic Khador Destroyer with some conversions. I have repositioned the legs and the head and resculpted the barrel of the Bombard Cannon. 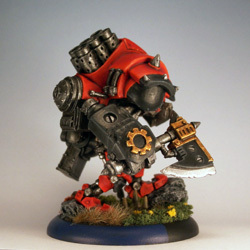 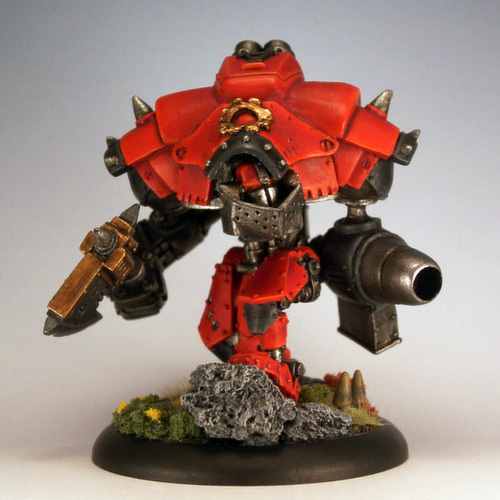 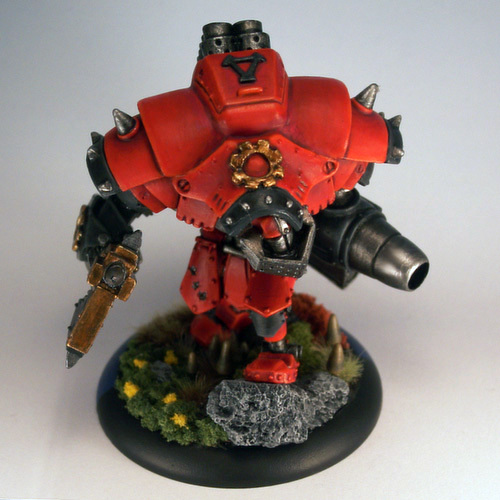 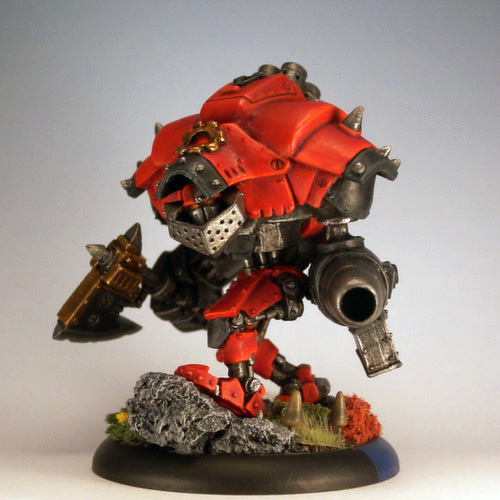 Khador’s mechaniks build their warjacks to last. The Juggernaut is a hulking mass of plated armor wielding an ice axe that can encase its target in a layer of crippling ice. 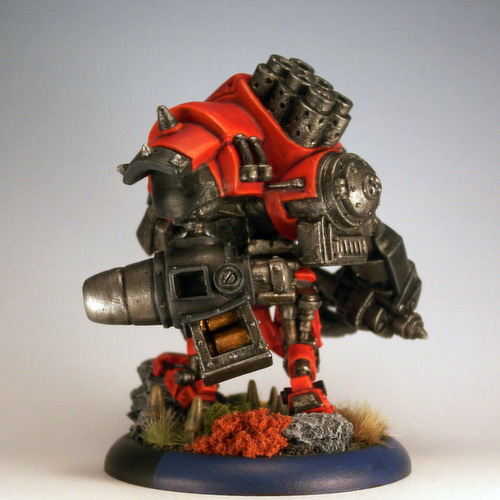 This sturdy chassis has given rise to other staples like the Destroyer, whose whistling shells arcing overhead portend explosive obliteration.